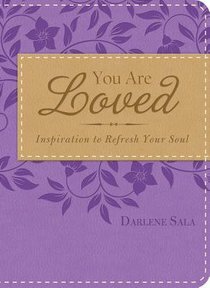 Popular author Darlene Sala seeks to refresh Christian women with this 90-entry follow-up to her recent devotional You Are Blessed. In You Are Loved, readers will see God’s heart for them, His concern for the trials and struggles they face, and that He is always watching, listening, and loving. About "You Are Loved (Lavendar/tan)"